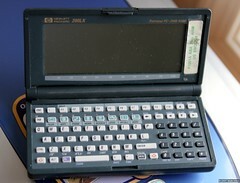 Palm, the PDA inovator, now considered a “smarphone” company, has received $100 Million investment. It’s from the venture-capital firm Elevation Partners. Palm’s Centro smart phone has done well, but they need something to compete with the iPhone and the upcoming gPhones. Palm Treo Pro is out. The Palm Treo Pro has been announced. Currently only with the overly complex WinCE decended Microsoft OS.